Simon Baker was appointed Chairman of Real Estate Investar Group in November 2010. Simon is currently also director and chairman of recently ASX listed Mitula Group Limited, a leading vertical search website operator. Simon was former Chief Executive Officer and Managing Director of the ASX listed REA Group from 2001 through 2008. During his tenure at the REA Group, revenue increased from $3.8 million in FY 2001 to $155.6 million in FY 2008, EBITDA increased from a loss of $6.2 million in FY 2001 to an EBITDA profit of $36.6 million in FY 2008, and the share price increased from $0.08 to a high of $7.49. 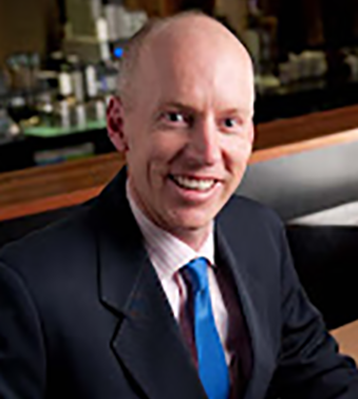 Simon was director and chairman of ASX listed iProperty Group Limited from 2009 to 2012. During his tenure, he oversaw the growth of the business from a share price of $0.08 to a high of $1.32. Simon is an angel investor in several online classifieds and e-commerce companies around the world including Vivareal, Redbubble, ArtsHub, LaEncontre, Property Portal Watch, ListGlobally, Transmit Data and CarAdvice. Simon holds a Bachelor of Science with a major in Computer Science from Monash University and a Master of Business Administration from the Melbourne Business School. Joe Hanna was appointed as a Non-Executive Director of Real Estate Investar Group in October 2015 and serves as Chairman of the Remuneration and Nomination Committee. Joe is currently also a director of recently ASX listed Mitula Group Limited, a leading vertical search website operator. Joe has extensive experience in online classifieds and search and is a founder of behavioural classifieds recommendation engine Predictive Match. Joe is co-founder and current Chief Executive Officer of xLabs Pty Ltd, a Melbourne based technology start up. Joe spent 8 years at Fairfax Media Limited in senior roles including: Product and Technology Director - Online Employment at CIO Advantate, and Emerging Business and Technology Manager at The Age. Joe holds a Bachelor of Business with a major in Computing from the University of Victoria. Clint Greaves was appointed Chief Executive Officer and Managing Director of Real Estate Investar Group in December 2014. Prior to this, Clint was Chief Operating Officer and an Executive Director appointed in November 2010. Clint has 16 years senior management experience in operational and financial roles in Australia, New Zealand and the United Kingdom, plus 14 years experience in the property market including residential investment and involvement in a number of commercial developments. Prior to this Clint was a Management Consultant for Ernst & Young. Clint holds a Bachelor of Commerce with a major in Marketing and International Business and a Master of Commerce with a major in Management Science and Information Systems from Auckland University. Sam Plowman was appointed as a Non-Executive Director of Real Estate Investar Group in January 2019 and serves as Chairman of the Audit Committee. Sam has extensive experience in the prop teach and fin tech industries. He is the former General Manager of Domain, headed up online banking at both ANZ and NAB, was the CEO at fin tech company Sandstone, and is currently the CEO at Payment Logic. From a corporate governance perspective, Sam is the Chairman of Vertical Networks Group - the owner and operator of Artshub and Screenhub, Australia's leading Arts' new' sites, and Property Portal Watch, the global leader in online real estate news and conferences.